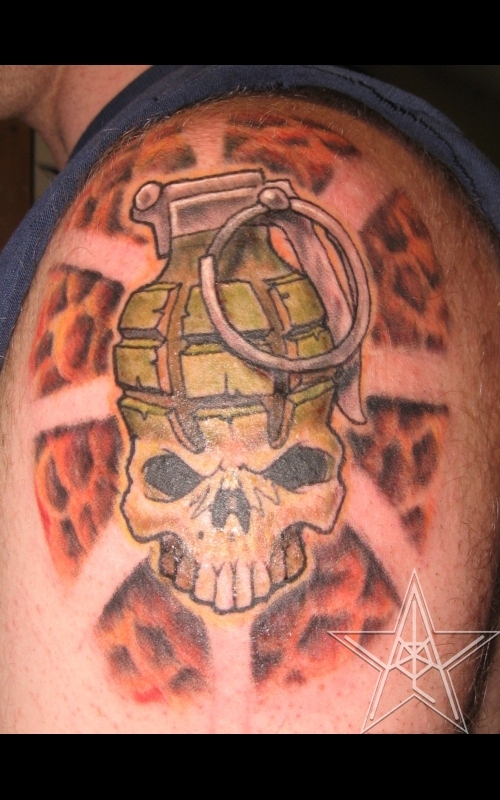 Pull the Pin, I Dare You Skull grenade tattoo. 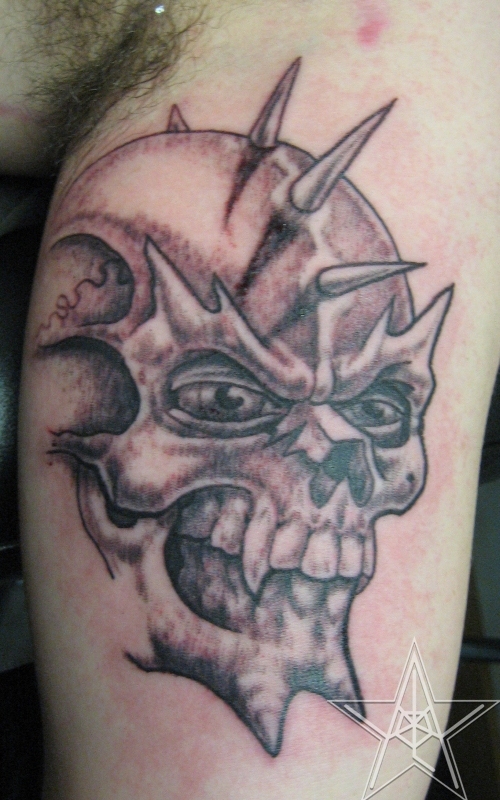 Spike Hawk Skully Skull with a spiked mohawk. 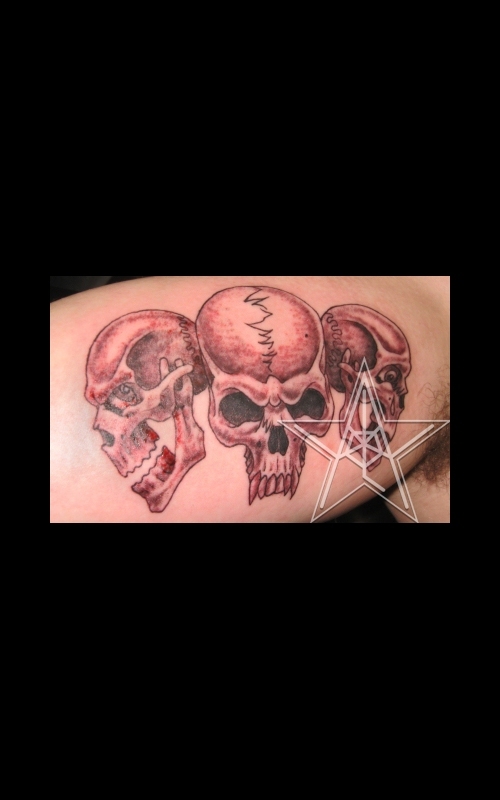 Triple Death Three skulls tattoo. 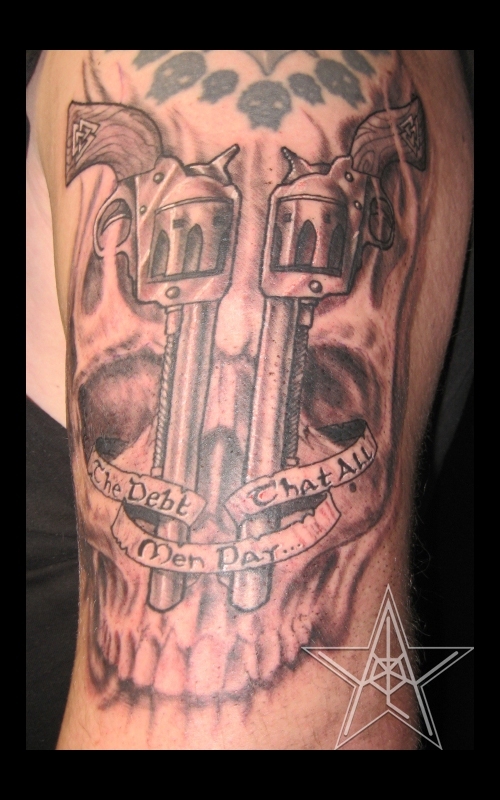 The Debt that All Men Pay Revolvers and skull tattoo. 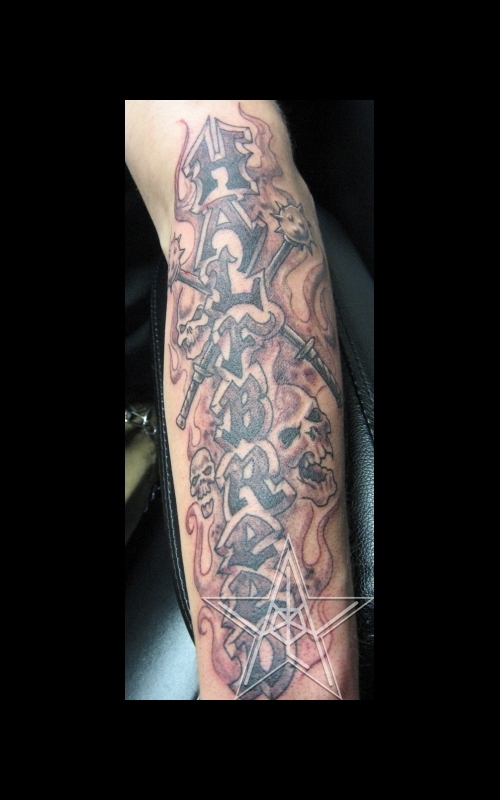 Halfbreed Skulls and lettering tattoo. 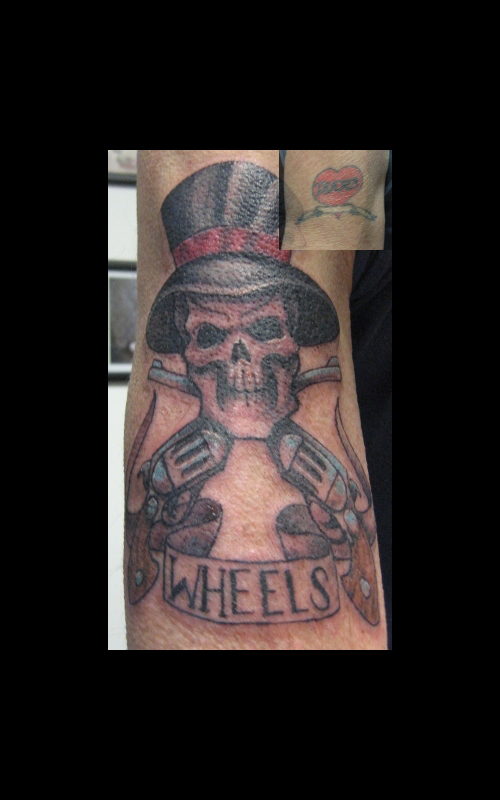 Wheels Skull with tophat and revolvers. 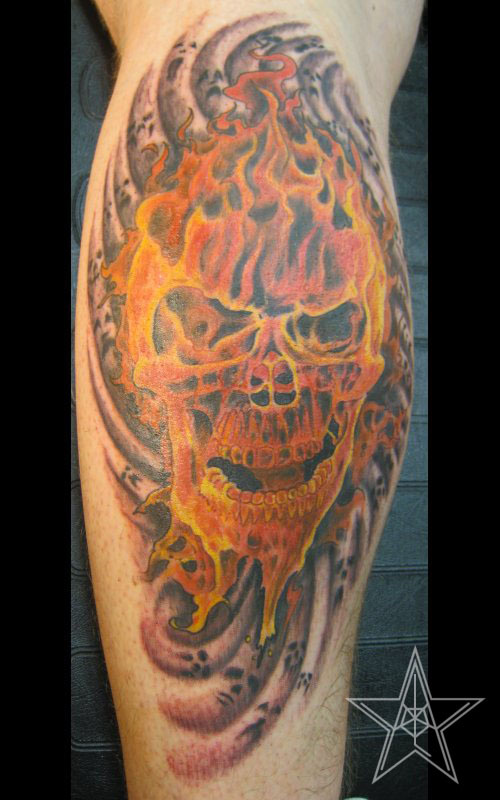 Killer from Fire Roman Skull from flames tattoo. 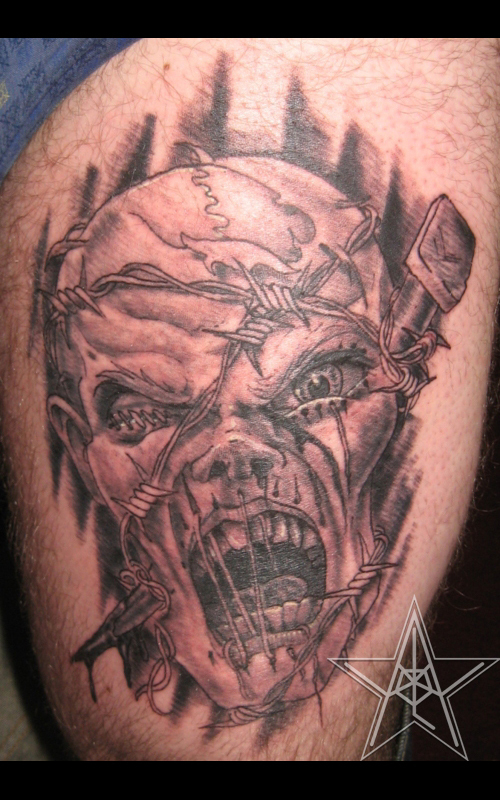 Workin' on Death Beat to hell with a spike in the head tattoo. 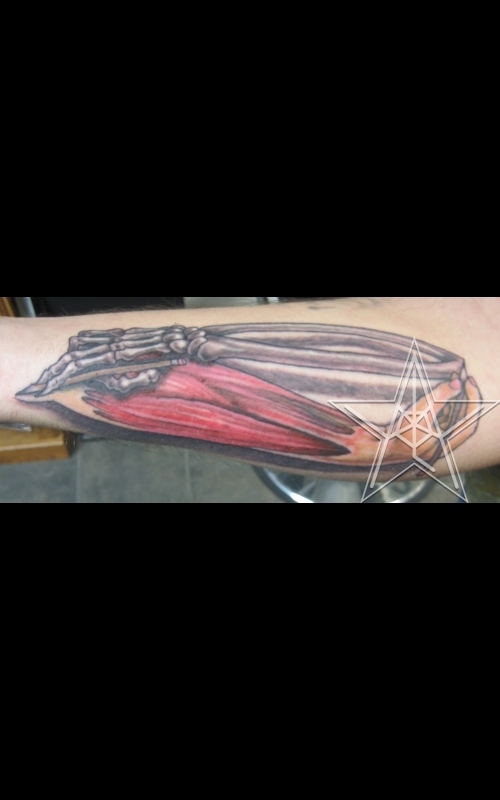 Anatomy of an Escher Escher based skeleton and anatomy tattoo. 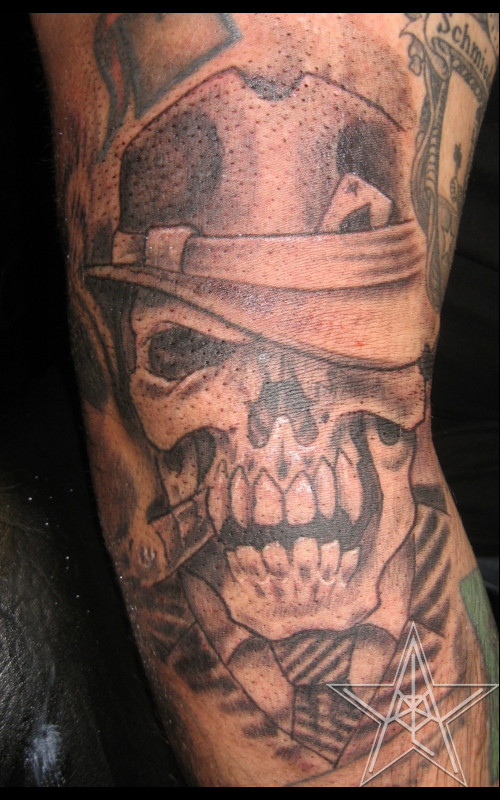 Mobster Skully Skeleton mobster tattoo. 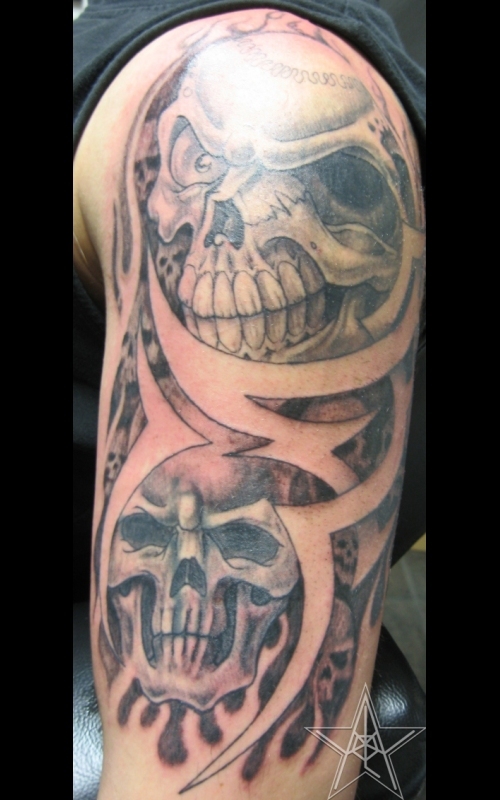 Deadly Shapework Skulls with negative space tribal tattoo. 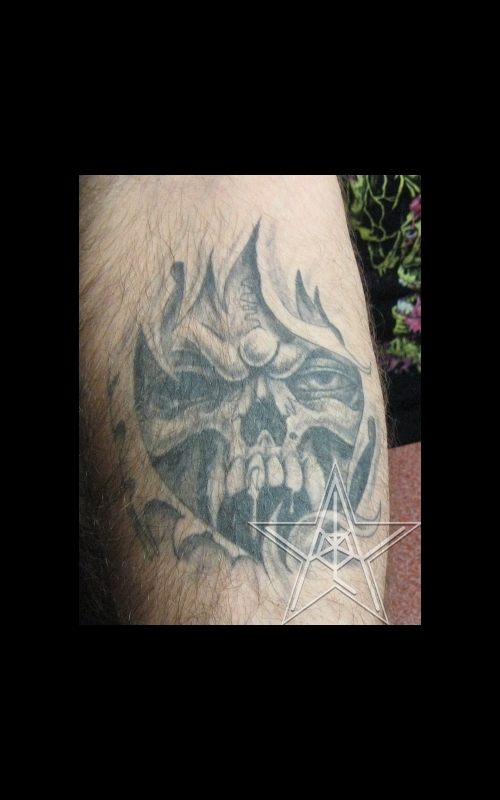 13 Skullenbones Skull and crossbones with spider web hand tattoo. 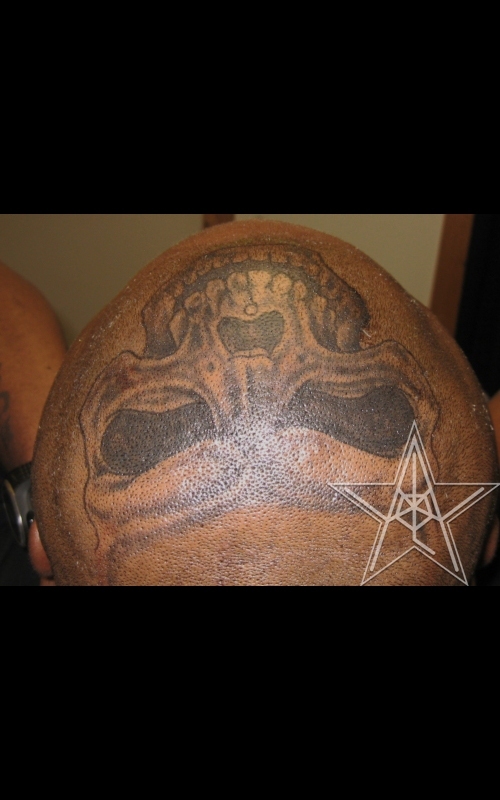 Skull on Skull Skull head tattoo. 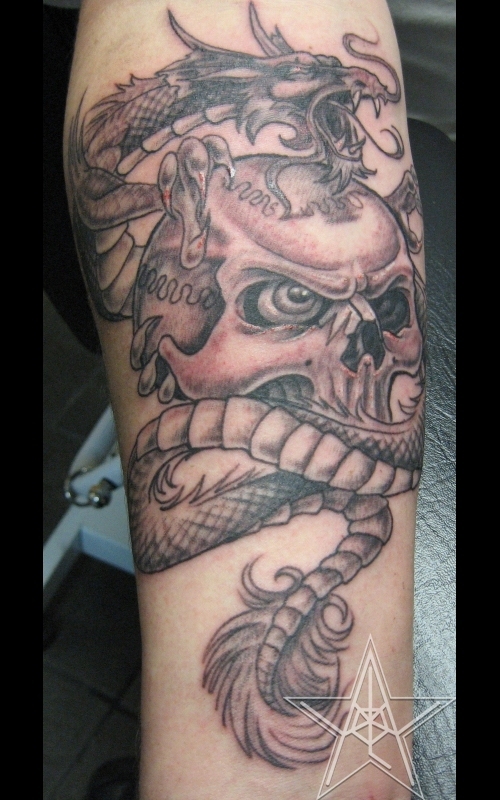 Watchers Asian dragon wrapping around skull tattoo. 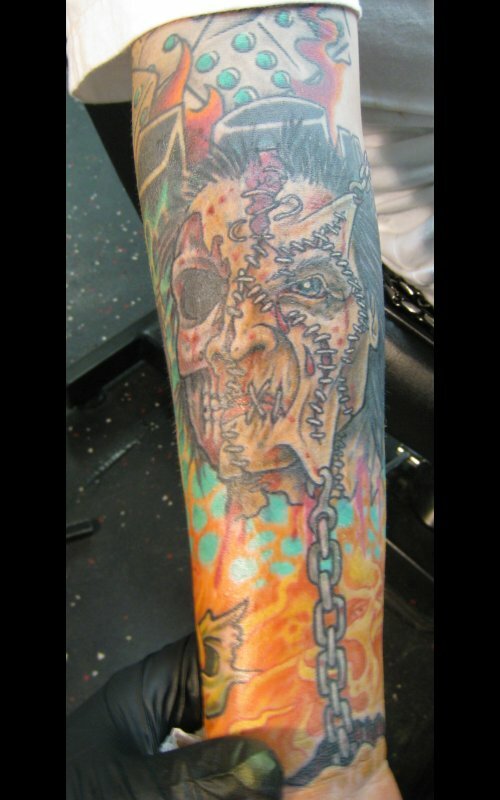 Inner Death Skull torn skin tattoo. 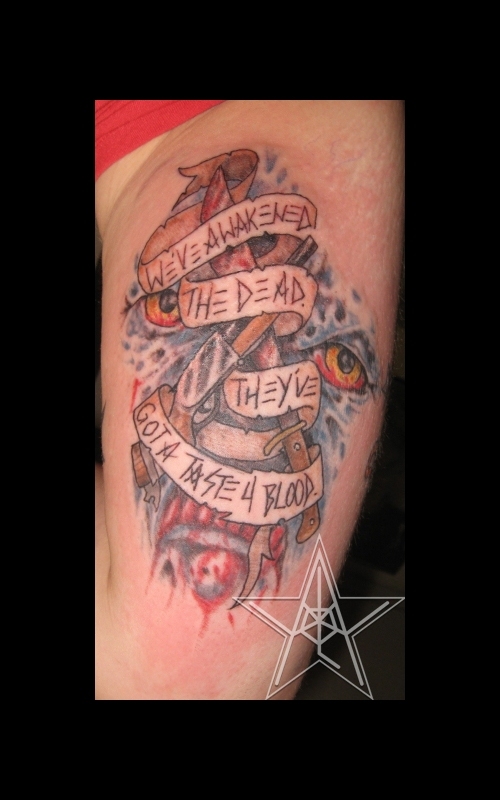 We've Awakened the Dead... Zombie blood tattoo. 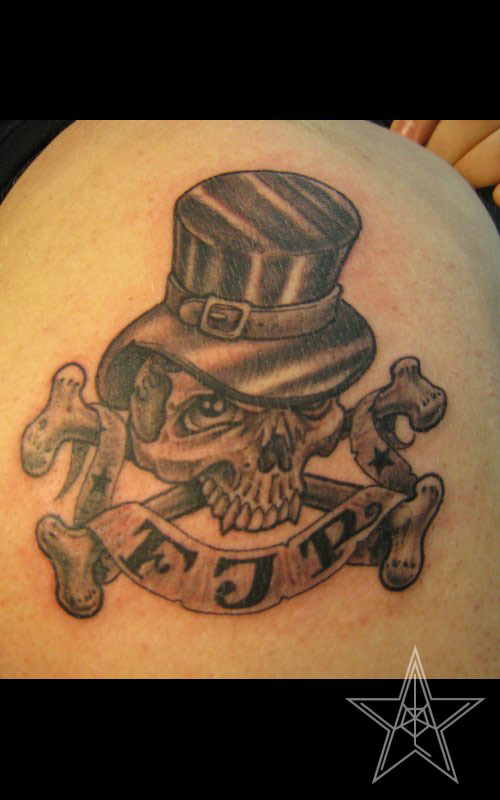 Topped Off Skullenbones with top-hat memorial tattoo. 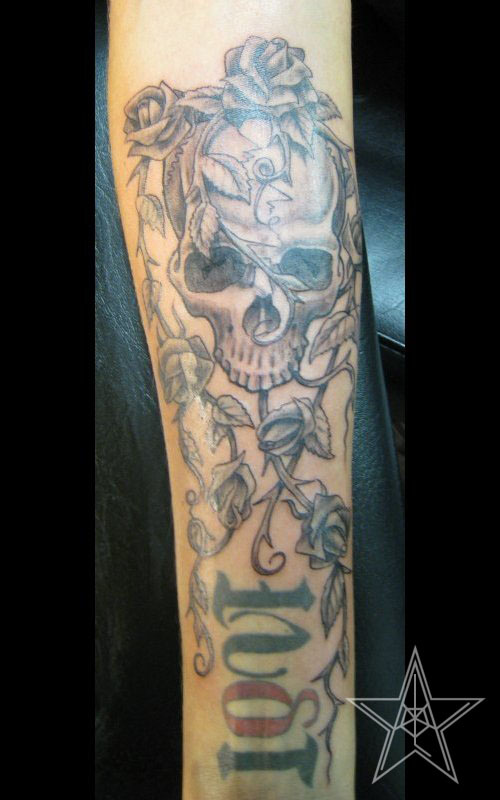 Slightly Grateful Skull Tattoo of a skull with roses. Tortured Reworked beat up face, no before picture. 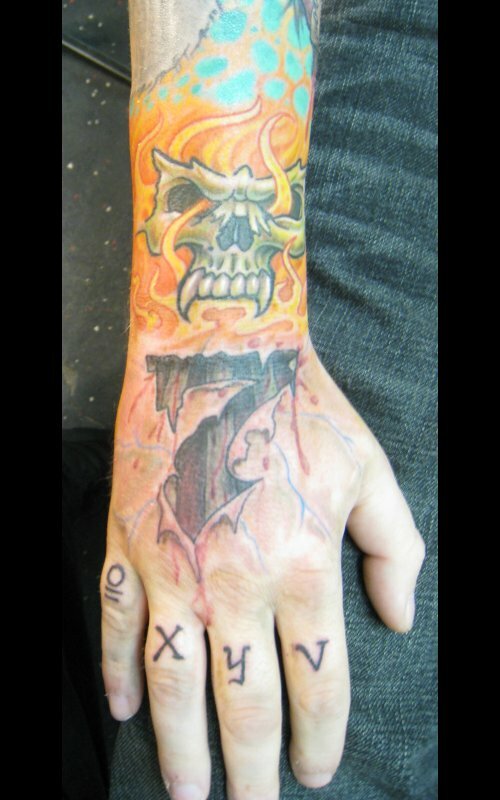 Not so Luck 7 Tornskin 7 and skull in fire tattoo. 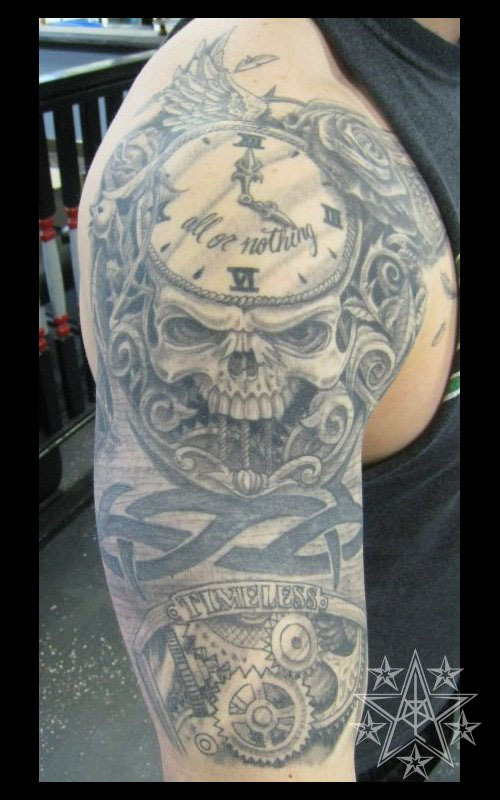 Time Heals All Wounds Custom clock, woman's face, and skull tattoo. 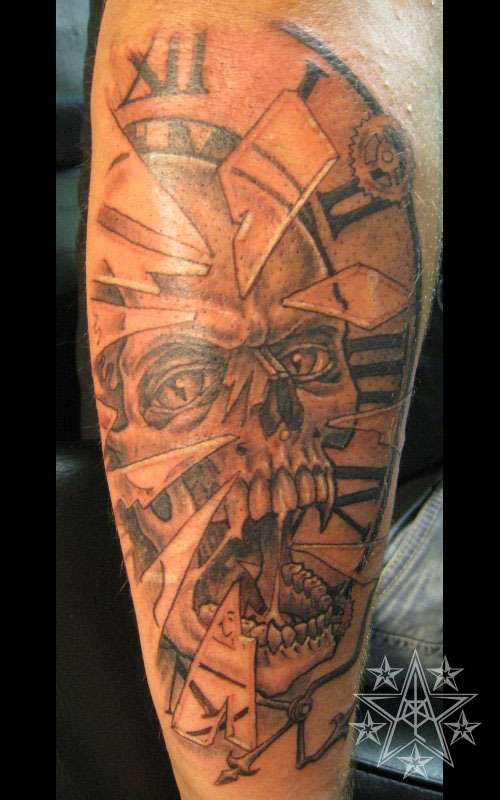 Death kills Time Skull breaking through clock face tattoo. 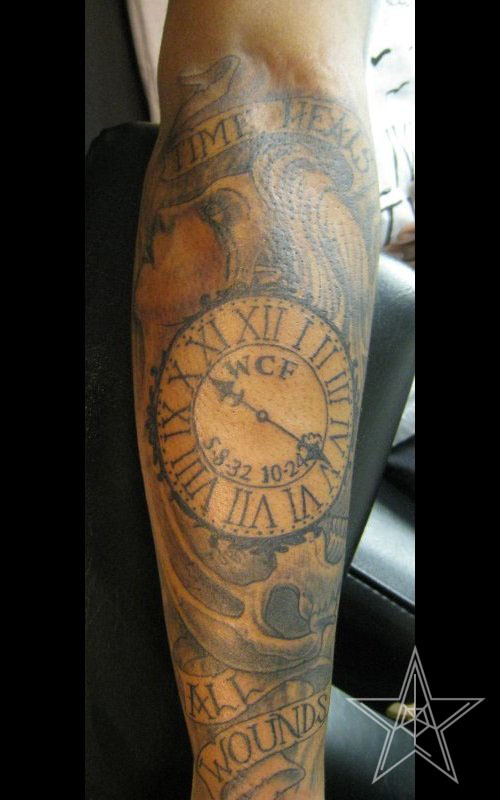 Tick Tock Grandfather clock skull tattoo. 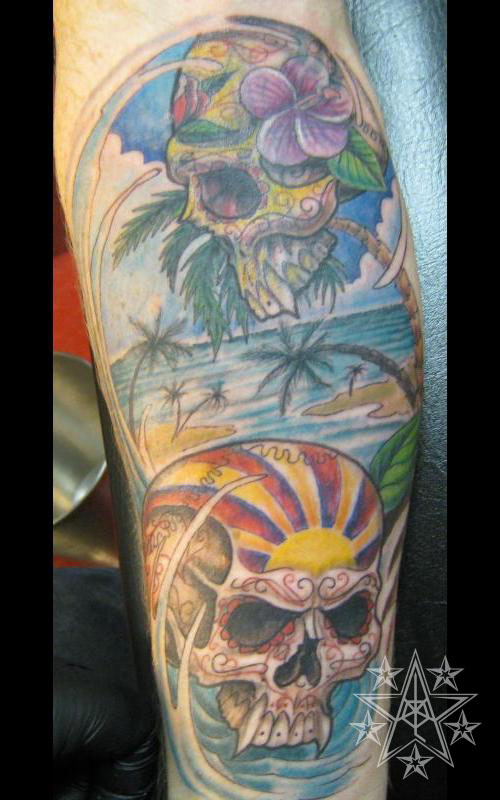 A Little Party in Mexico Day of the Dead skull on the beach tattoo. 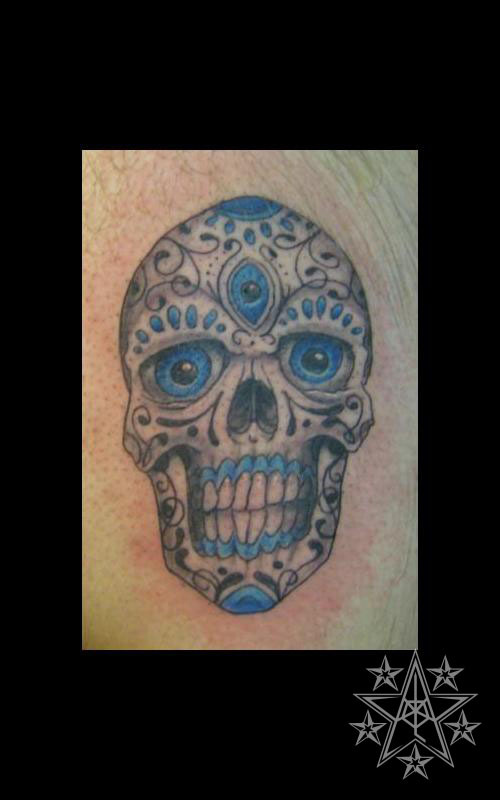 Third Eye of Sight Three eyed Day of the Dead skull tattoo. More Party Two Dia de Los Muertos skulls on the beach. 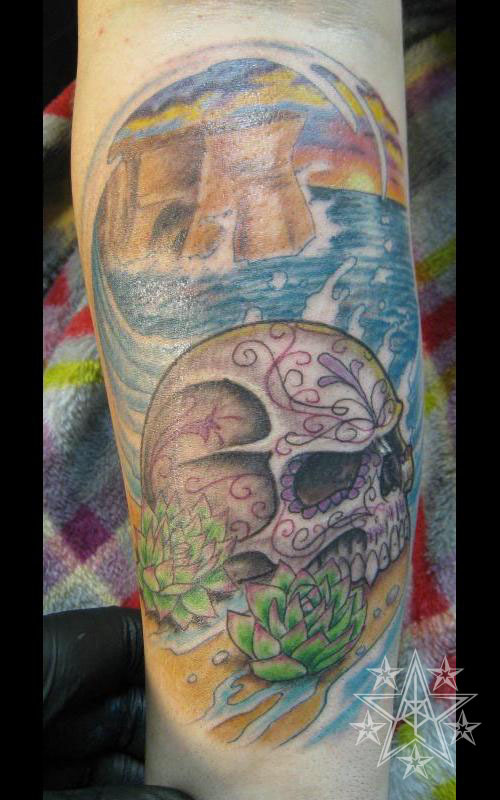 Cover-up tattoo without before pic. 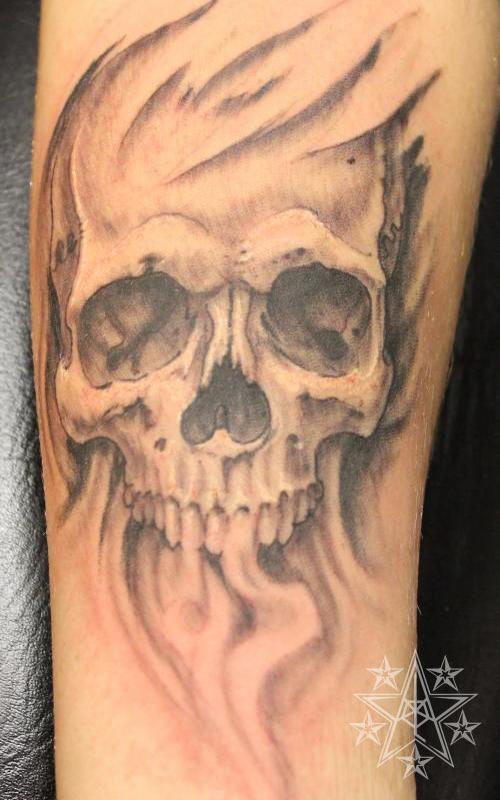 Smokey Greyscale skull with smoke tattoo. 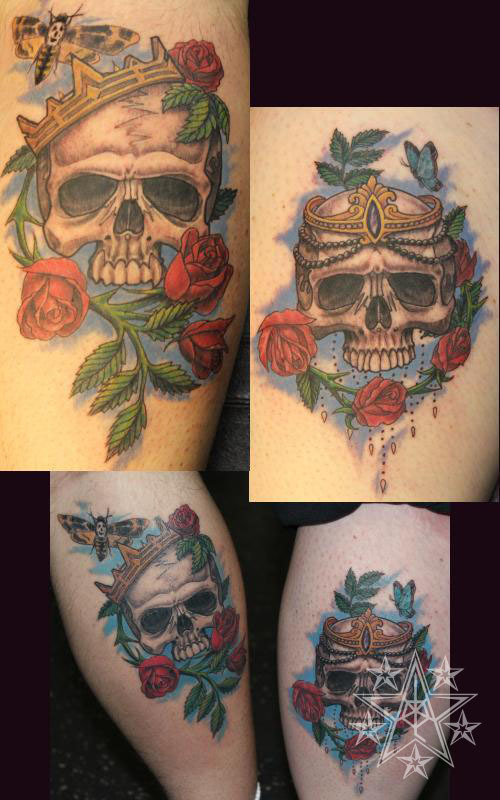 Dead Royalty Couples tattoo of skulls and roses with crowns. 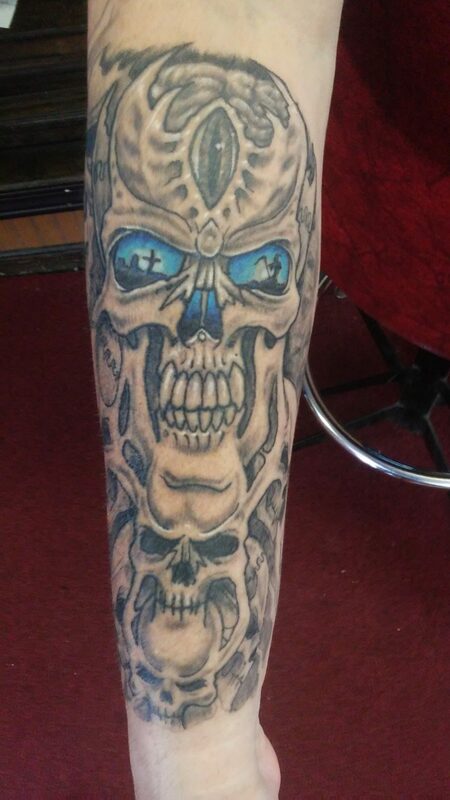 Friendly Skull with reflective eyes. 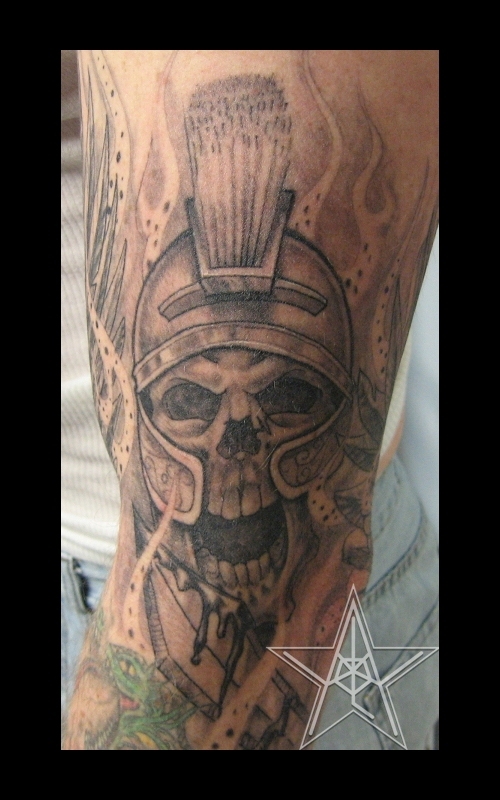 Skull tattoos by Ray Reasoner Jr.